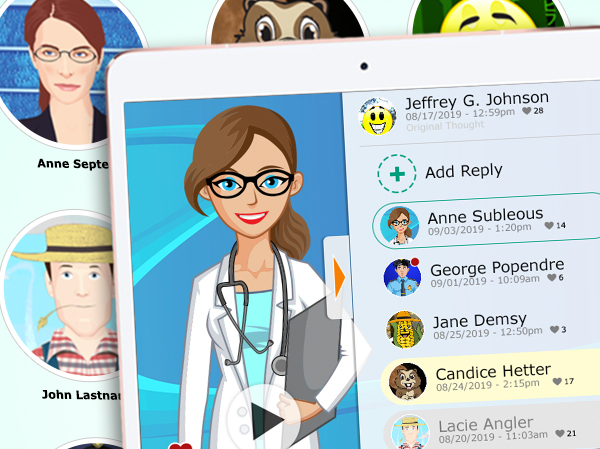 Voki Hangouts mirrors the online social experience with a focus on learning. Students apply their online social skills to participate in a rich collaborative learning network. Voki Hangouts promotes engagement, thought & discussion among students and educators. Use Voki Hangouts to create an informal, collaborative & fun learning environment. Voki Hangouts helps shy or quiet students participate in a safe and fun learning environment. Hangouts is a great tool for empowering social identity! Voki Hangouts mirrors the online social experience while providing teachers full control over the environment. Great for class introductions, Digital Yearbooks, announcements, debates and much more!